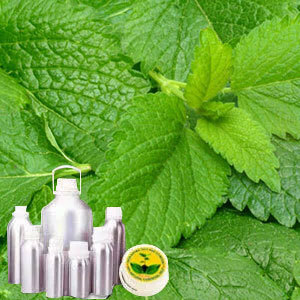 Melisa oil manufactured by India Aroma Oils And Company is made of the plant of Melissa which is a part of mint family. The plant originally belonged to south-central Europe but now even found in Iran, central Asia and in several American parts. The oil has all the properties of therapies, antibacterial, antiviral, and antidepressant. Coming from mint family, it has a mint effect on skin which soothes and glorifies your skin texture. Melissa oil is also known as bee balm oil and lemon balm oil at times. The oil inherits refreshing lemony aroma which leads to pleasantries. If one seeks strengthening of the immunity he can put few drops of the oil in the drink or in his meal as the oil supports the immunity system. Having the content of geranial and neral oil happens to be the perfect choice for massaging oil as the components contains soothing characteristics. It also comprises of aldehyde (60 %)and monoterpenols (10%). The oil is best known for being easily blended with any other oil be it rose, citrus, basil etc oils. The product is highly efficient in discarding nervousness and anxiety of a person.